Anne Curtis received an invitation to attend the Star Magic Ball 2017. 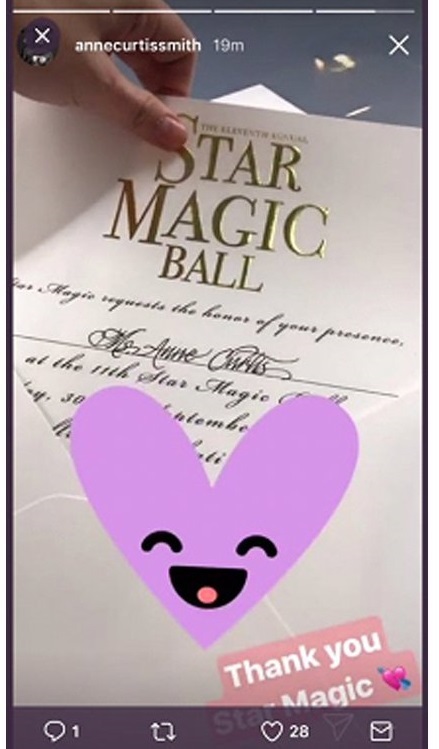 The actress posted a photo of her invitation via her instagram stories on Friday, September 15. 'Thank you Star Magic' she captioned. Anne, who is under contract with Viva Entertainment, was last seen at the star-studded event in 2009. Last year, she also got an invitation, however, she wasn't able to attend due to hectic schedule.